“The restrictions sought to be imposed on the right to privacy have to be tested for reasonableness on the touchstone of proportionality from the perspective of the whole citizenry and not a specific affected individual”, he submitted. He relied on the 1986 Supreme Court judgment in D. K. Trivedi & Sons v. State of Gujarat, in so far as it was observed therein, “Where a statute confers discretionary powers upon the executive or an administrative authority, the validity or constitutionality of such power cannot be judged on the assumption that the executive or such authority will act in an arbitrary manner in the exercise of the discretion conferred upon it. If the executive or the administrative authority acts in an arbitrary manner, its action would be bad in law and liable to be struck down by the courts but the possibility of abuse of power or arbitrary exercise of power cannot invalidate the statute conferring the power or the power which has been conferred by it”. In as much as the petitioners have challenged section 47 of the Aadhaar (Targeted Deliveries of Financial and Other Subsidies, Benefits and Services) Act of 2017, permitting cognizance of any offence there-under only upon the complaint of the UIDAI, and depriving the aggrieved individual of the opportunity to be heard and seek redressal, the 2014 apex court judgment in State of NCT of Delhi v. Sanjay may be noted. In the said judgment, section 22 of the Mines and Minerals (Development and Regulation) Act of 1957, preventing the cognizance of an offence except on the complaint of a person authorised in this behalf by the Central and state government, was discussed. Further, under the Aadhaar scheme, there is a portal for individual grievance redressal. Also, section 47 of the Act of 2016 does not impose a restraint on the UIDAI against authorising any individual to lodge a complaint. Mr. Hossain advanced on Wednesday that the objective of distributive Justice, as envisaged under Article 39(b), is sought to be realised by Aadhaar in as much as it plugs leakages in welfare schemes. 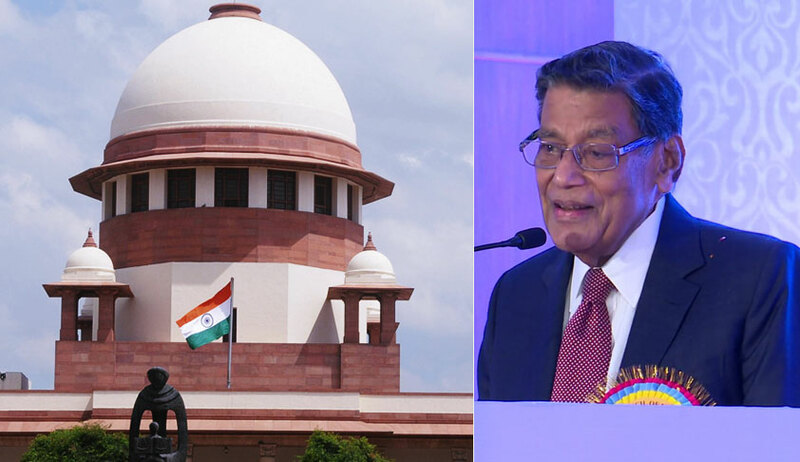 Justifying the introduction of the Aadhaar Act as a Money Bill, Attorney General K. K. Venugopal drew the attention of the Supreme Court five judge bench to section 7 of the Act of 2016, necessitating the proof of Aadhaar number for availing ‘subsidies, benefits and services’ the expenditure whereon or the receipts wherefrom is debited or credited, as the case may be, to the Consolidated Fund of India. He advanced that the statute may have supplementary provisions but they would not have the effect of bringing the Act outside of the sweep of Article 110, by virtue of sections 7, 24 and 25 of the Act as well as its Preamble. When Justice D. Y. Chandrachud expressed doubts regarding section 57 of the Aadhaar Act allowing any “person” or “body corporate”, being non-state entities, to demand Aadhaar, considering the purported nature of the Act of a Money Bill, the AG submitted that the section is merely an additional provision permitting the use of the Aadhaar architecture pursuant to a contract which in turn may have a connection to the Consolidated Fund of India. Justice A. K. Sikri also remarked that section 57 of the Act does not relate to ‘Subsidies, Benefits and Services’. In response, the AG contended that the section is covered under sub-clause (g) of Article 110(1). When the bench noted that for the purpose of Article 110(1), a Bill shall be deemed to be a Money Bill if it contains only provisions dealing with all or any of matters enumerated in its sub-clauses (a) to (g), the AG sought to submit that the clause (1) of the Article intends the matters mentioned in its sub-clauses to only be contained in a Money Bill. Justice Chandrachud remarked that such a connotation would amount to rewriting the Constitution.